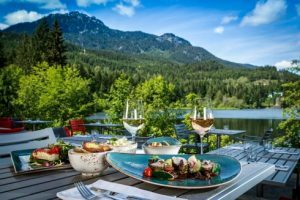 6 Ways to Spend Easter Weekend in Whistler - Whistler Real Estate Ltd.
Easter is an egg-citing time for families living in and visiting Whistler and the surrounding Sea-to-Sky areas! Whistler and Blackcomb mountains are still open with amazing Spring skiing conditions while the flowers have started blooming around the village. 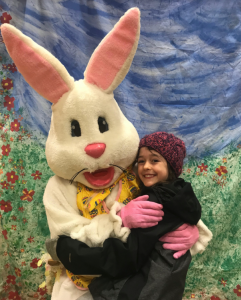 The Annual Whistler Community Easter Egg Hunt marks its 10th Anniversary this year at Myrtle Philips Community School! The hunt takes place on Saturday, April 20, 2019, and doors will open at 9:30am and the hunt begins at 10:00am. 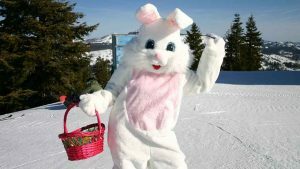 This annual event promises a fun day with a special visit from the Easter Bunny, music and dancing by Ira Pettle, crafts, face painting, raffle prizes and more! Entry is by donation. This event will raise funds to support enhanced learning initiatives including classroom programs, school equipment and field trips for children in our school. Create fond memories with family and friends at The Wildflower’s Easter Brunch. Famous for its incredible holiday brunches, The Wildflower Restaurant’s culinary team will be serving up a feast for all your senses. There are sure to be plenty of delectable treats and culinary surprises the whole family will love. Enjoy a relaxing lakeside brunch this Easter Sunday at Aura between 11:00 am – 2:00 pm. Nita Lake Lodge also host a legendary scavenger hunt for children. Relax into Easter Sunday with family and friends, with an expansive buffet brunch at the Westins Grill & Vine. Complete with fresh, local fare, there is something for everyone to enjoy. Spring is a beautiful time in Whistler to get out and enjoy hiking! Spend Easter weekend amongst nature on one of the many spectacular hikes in the Whistler area. 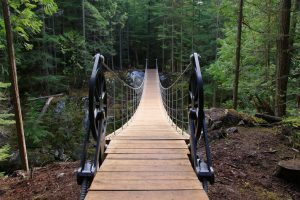 A particularly beautiful hike this time of year is Trainwreck in Function Junction and after your stroll down by the Cheakamus river, you can pop into The Whistler Brewing Co. for some delicious food and craft beer. 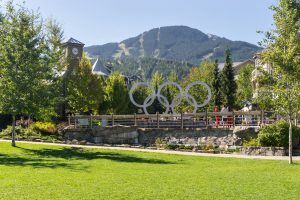 Take the Whistler Scavenger Hunt! The Whistler Visitor Centre creates scavenger hunts for visitors to explore Whistler. It’s a great way to get kids active and interacting with the environment. Drop into the Whistler Visitor Centre for a copy or download them here. Our Lady of the Mountains Church on Lorimer Road will be hosting an Easter Vigil on April 20thand Easter Sunday Mass at 9 am on Easter Sunday. You can get a list of all the Holy Week services here. 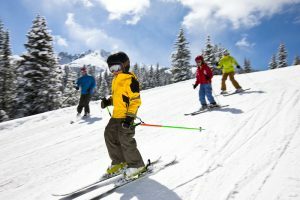 Spend the weekend with friends and family enjoying the mountain and the fantastic Spring ski conditions Whistler Blackcomb has to offer. Pack your suncream and finest Spring ski attire and prepare to get a goggle tan!